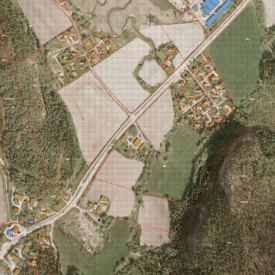 Our farm is called Spillum and has number 20/9 in Namsos county (1703). It is one of 9 farms at Spillum. It has 83 da cultivated land, 1300 da productive forest and 1800 da other land like bog, heathland and mountain. In the Links menu you can see some satellite photos and maps of our farms cultivated land and forest areas.